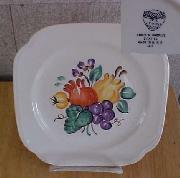 Edwin Knowles... #87... Fruit & Flowers...White Background...Fruit and flowers in the Center..Square Salad Plate. Square Salad Plate measures about 7 1/8" x 7 1/4". There is some crazing under the glaze. 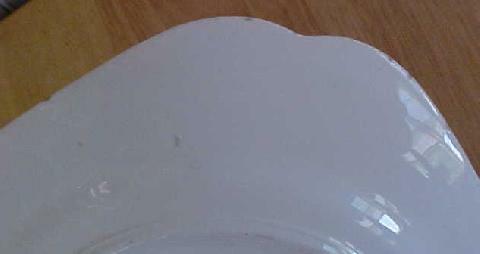 Small flea bite chips on the rim of the plate, but no cracks. Buying AS IS condition..